In 2012, a small group of friends, most of whom served in the Peace Corps in Mali (West Africa), decided to have the book Where There Is No Doctor translated into Bambara, a language that is spoken in Mali and surrounding countries. We decided to call this effort “The Dokotoro Project” as dokotoro means doctor in Bambara. Where There Is No Doctor is a 600-page, easy-to-read, and heavily-illustrated primary health care manual. It is primarily written for community health care workers and educators in developing countries, where health care services are limited. It is the most widely-used health guide in the world, and in the United States and other developed countries it is well known among Peace Corps volunteers, aid workers and missionaries. 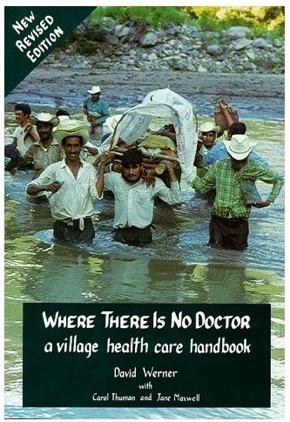 Published by the Hesperian Foundation, Where There Is No Doctor has been translated into over 80 languages. Almost all of these editions have been translated by other non-profit organizations or volunteers, using Hesperian’s open copyright policy. This policy allows the book to be freely translated and adapted into different languages and cultural contexts. We are using the French West Africa edition (published by Senegal-based ENDA) as the basis of our Bambara version, and are supplementing it with updated medical information from Hesperian’s latest (2013) edition.